Brickell Heights East, also known as Brickell Heights 01, was designed by famed architecture firm Arquitectonica and developed by The Related Group in collaboration with Crescent Heights. Rising 49 floors, Brickell Heights East adorns the Miami skyline with its sleek, contemporary look. Brickell Heights East was completed in 2017 and includes 358 condo residences. It is comprised of one- and two-bedroom floor plans plus penthouses (see Brickell Heights East floor plans). The non-penthouse residences at Brickell Heights East range in size from 676 to 1,276 interior square feet plus balcony. To create an exclusive, luxurious feel, the common areas spaces at Brickell Heights East were designed by David Rockwell. Brickell Heights East includes a laundry list of upscale amenities, including a 35,000-square-foot, 3-story Equinox Fitness Club & Spa; a 3,500-square-foot, SoulCycle spin studio; rooftop pool; 9th-floor pool terrace with swimming pool and lap pool; two entertainment rooms for private events; screening room; business center; valet parking; kid’s club; 24-hour concierge; and much more. The residences at Brickell Heights East include 9-foot high ceilings with floor-to-ceiling glass windows, stackable washer/dryer, GE Monogram kitchen appliances, imported stone countertops, and contemporary European cabinetry. Brickell Heights East condominiums is located at 45 SW 9th St in Miami, Florida. 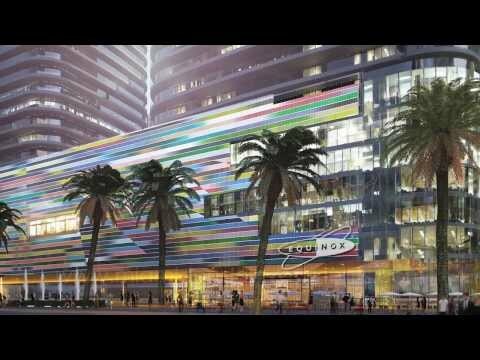 It is just a short walk to the shops, restaurants, and nightlife at Brickell City Centre and Mary Brickell Village. Additionally, Brickell Heights East is a short drive from Museum Park, the Design District, Wynwood, PAMM, The Port of Miami, the American Airlines Arena, and South Beach. What are the rental restrictions for Brickell Heights East condominium? Owners may rent their units a maximum of three (3) times per year. No lease can be less than thirty (30) days. Which utilities are included in the Brickell Heights East condominium association dues? What is the pet policy for units at Brickell Heights East? Only owners are allowed to have pets at Brickell Heights East. Tenants are not permitted to have pets. However, exceptions are made for tenants with service animals provided that the tenant has proper documentation for their service animal.